Led by guitarist/audio engineer/music producer extraordinaire, the Band has been entertaining audiences for many years performing Disco & Funk dance classics from the ‘70s & ‘80s. Costumed in flashy retro threads, this show band is best known for its energetic stage performances and contagious funky-disco beats. 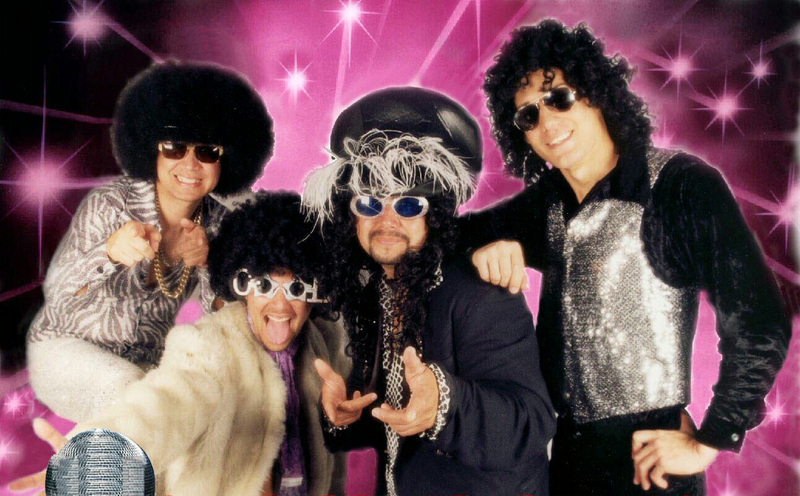 Aided by the resurgence of Disco music, The Band has become one of the most popular party bands in California as they capture the energy and excitement of the very popular and decadent Disco era. Several of the band’s members have toured with national acts throughout the United States, Europe and Asia. The leader of the band has also worked with many famed artists and producers that include “Rosie Hamlin of Rosie and the Originals,” Quality recording artists “A Lighter Shade of Brown,” and Alton “Wokie” Stewart; award-winning producer of hits performed by Salt-n-Pepa, Keith Sweat, Bell Biv De Voe and Stephanie Mills. With talent, experience and lots of personality, The Band’s popularity and success is non-stop as the band continues to delight dance music lovers everywhere!